Michael Jordan is one of the greatest, if not the greatest, player to step onto an NBA court (we won’t begin the Jordan vs LeBron conversation right now because we know everyone has a different opinion, and for now, we just want to honor MJ). He’s a legend, His Airness, for some, he’s the GOAT. You cannot argue with everything he has accomplished throughout his career, it was even tough to narrow down his accomplishments for this list. He’s a 14-time All Star, 11-time All NBA player, 6-time NBA Champion, 5-time MVP, 6-time Finals MVP and 3-time All Star MVP. He was also Rookie of the Year, Defensive Player of the Year and made the All-Defensive team a whopping nine times. He retired and made comebacks, twice. Twice. We even forgave him for his attempt to play baseball before his second comeback, because it was worth letting him get it out of the way so he can come back and win more championships. No one can look back at his career and argue that he wasn’t one of the top two, if not the best basketball player in the world. He may not have the most championships, but that doesn’t matter. He was a household name around the world. Basketball fans overseas woke up in the middle of the night just to watch him play, and they’ll do it all over again today. Needless to say, it was tough to narrow down his career to just 30 moments, and we even included his days before the NBA, during his hiatuses, and after, because it all shaped who he is. But here it is, a compilation of the most monumental events in MJ’s career, dating back to his UNC days and right up to 2017. 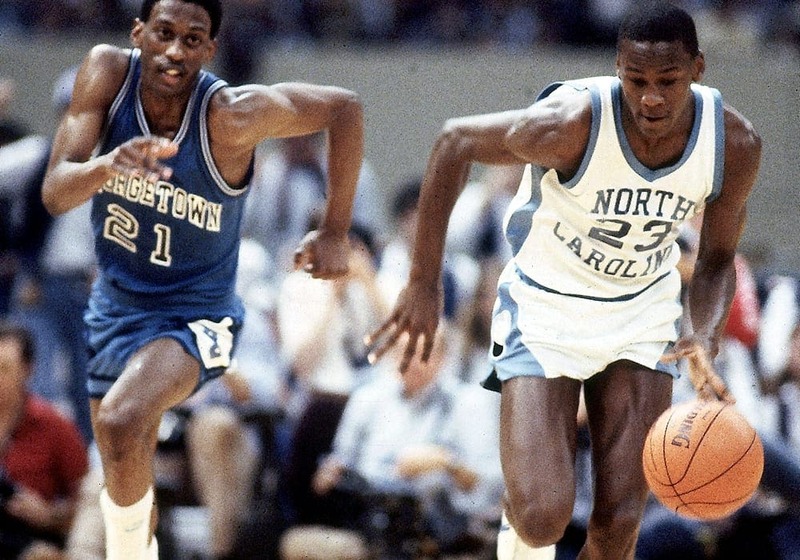 Michael Jordan may have been Brooklyn born, but he was raised in North Carolina. So it shouldn’t be too much of a surprise that he decided to play ball for the University of North Carolina starting in the 1981-82 season. Jordan stayed at the University for three seasons, averaging 17.7 PPG, including 20.0 PPG and 19.6 PPG during his latter two years, adding 5.0 rebounds and 1.8 assists for his career. During his tenure there he won AP Player of the year in 1983-84 and two consensus All Americans, as well as an NCAA Championship. 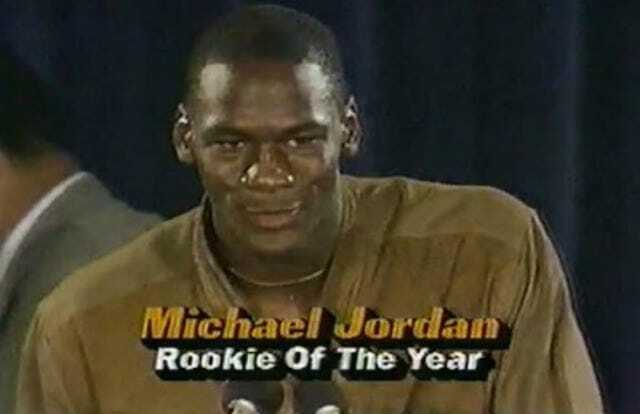 It didn’t take long for Jordan to win the top prize in college basketball. The Tar Heels were a no. 1 seed in the East during the 1982 NCAA Tournament, blowing past Ohio State, James Madison University, Alabama, Villanova and Houston on their way to the title. UNC faced the Georgetown Hoyas in the Championship game, and won by a single point 63-62. Jordan scored 16 points with 9 rebounds and 2 assists to beat Patrick Ewing and the Hoyas. Jordan decided to stay at UNC for two seasons after winning the National Championships, and it paid off. During his junior year at the University, Jordan averaged 19.6 PPG, 5.3 rebounds and 2.1 assists. He was named AP Player of the Year, but more importantly was the winner of both the Wooden Award for the most outstanding college basketball player and the Naismith Award for Player of the Year (yeah, they’re very similar). After his junior year at UNC, Jordan opted to declare for the NBA Draft. He was selected as the third overall pick by the Chicago Bulls. Looking back now it sounds absurd that there were two players who were drafted before him. Who were those guy guys? The No. 1 overall pick was Hakeem Olajuwon (as was expected) to the Houston Rockets and Sam Bowie (not as expected) to Portland. The Trailblazers opted to pass over Jordan because they drafted a shooting guard by the name of Clyde Drexler the year before. 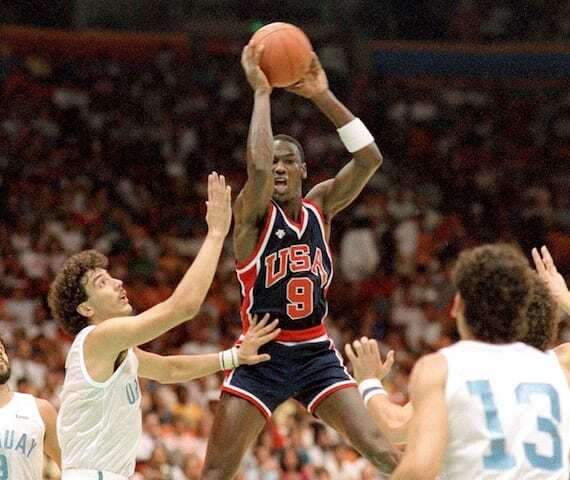 Before MJ even had a chance to step onto an NBA court, he had the opportunity to win an Olympic gold medal, and he did. Jordan was part of the 1984 USA team that competed in California. Jordan played alongside Patrick Ewing, Chris Mullin and Steve Alford. He played in eight games, averaging 17.1 points, 3 rebounds, 2 assists and 1.5 steals. He was also the leading scorer on the team. Team USA beat Spain 96-65 on August 10th to win the gold. The Olympic gold was just the beginning of brilliance for Jordan. His rookie year in the Association, at just 21-years-old, he came out roaring, averaging 28.2 points, 6.5 rebounds, 5.9 assists and 2.4 steals for the season. His PPG average was third behind Bernard King and Larry Bird. Even more important, MJ helped the Bulls win 11 more games than they did the previous season. 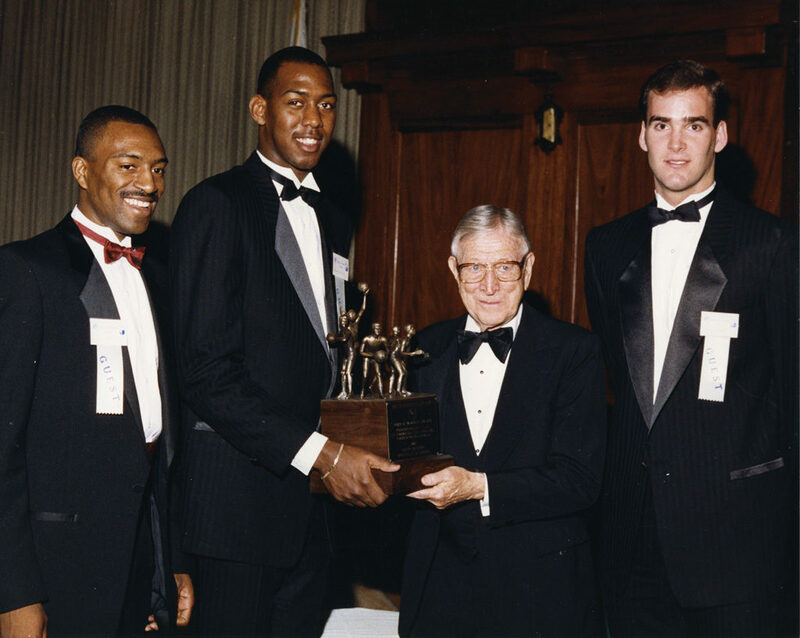 He was selected to the All-NBA Second Team and on May 16, 1985 was awarded the Rookie of the Year Award. 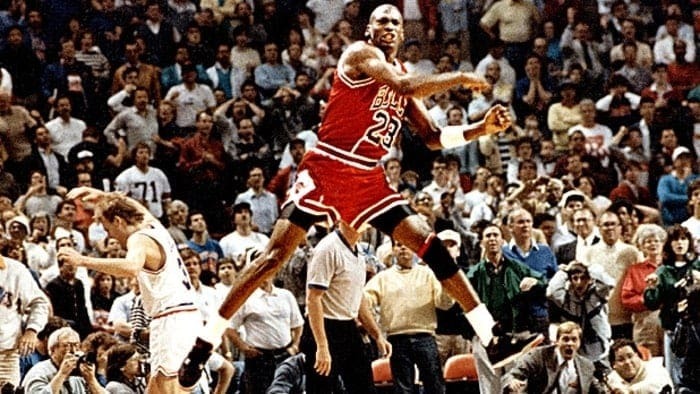 On April 20, 1986, Michael Jordan put on a playoff performance to remember. During just his second season in the league, the GOAT waltzed into Boston and scored 63 points against Larry Bird and the Celtics. The 63 points were the most scored in a postseason game. 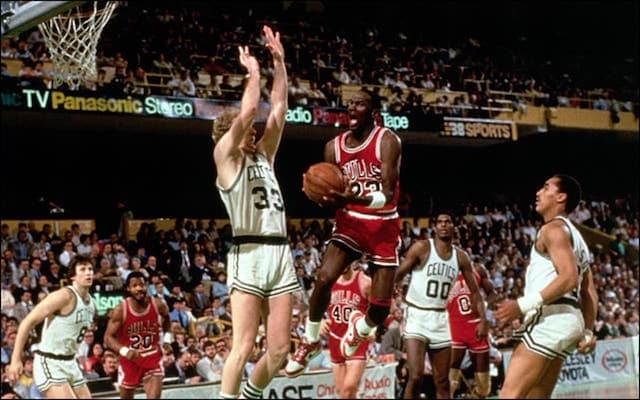 That Boston Celtics team had five Hall of Fame players, which makes MJ’s performance against them even more remarkable. Bird even uttered the now famous phrase “God disguised as Michael Jordan,” after the game. Jordan and the Bulls pushed the Celtics to double overtime, but eventually lost and were swept in the series. After losing his first bid for the Dunk Contest title during his rookie season, Michael Jordan tried again in 1987 in Seattle, showing the world he could fly. As the contest advanced, Air Jordan found himself going head-to-head with Jerome Kersey and eventually took home the crown. After a few above the rim dunks, MJ took off from the free throw line to seal the deal, reminding everyone that he’s the one who can fly. Before the 1987-88 season, the Chicago Bulls began building a championship calibre team around Jordan. Scottie Pippen was acquired in a draft day trade and they drafted Horace Grant. That season, Jordan won them all: All Star MVP, Defensive Player of the Year and Most Valuable Player (for the first time). Jordan averaged 35 points, 5.5 rebounds, 5.9 assists and 3.2 steals a game. The Bulls beat the Cavaliers in the first round of the playoffs but then lost to the Pistons. Most people know it simply as “The shot.” It looked like the Cavs were headed for a title during the 1988-89 season, led by head coach Lenny Wilkens. The Bulls finished with a 47-35 record and had beaten the Cavs in the playoffs the year before. During 1989, the playoff series between the two went the distance, to five games, and to the final seconds of that Game 5. Jordan had the ball on the right side, dribbled to the key and rose for the jumper, hitting the shot and winning the game 101-100. 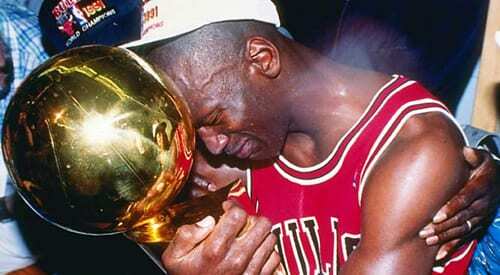 It wasn’t until the 1990-1991 season that Michael Jordan and the Bulls took home their first NBA Championship. The Bulls would march through the postseason virtually untouched, losing only twice. They swept the Knicks 3-0 in the first round, beat the 76ers in five games in the semifinals, swept the Pistons in the Eastern Conference Finals (a sort of redemption) and beat the LA Lakers 4-1 to win the franchise’s’ first ever title, and the first of six in eight years. 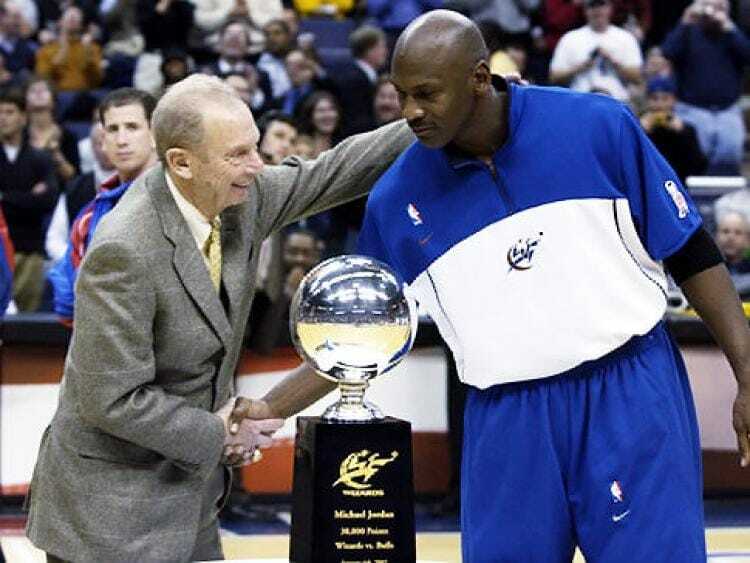 MJ was awarded Finals MVP, also his first of six. With an MVP, Finals MVP, NBA title and gold medal already under his belt, Michael Jordan joined the 1992 Dream Team that wowed the world. 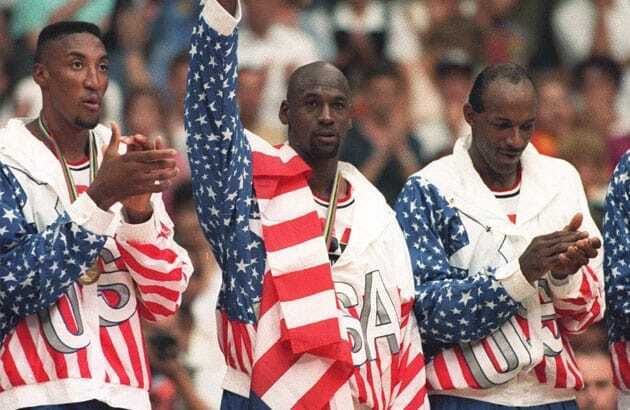 MJ teamed up with Pippen, Magic Johnson, Chris Mullin, Clyde Drexler, John Stockton, Karl Malone, David Robinson, Charles Barkley and Larry Bird to create the ultimate basketball team going to the Olympics in Barcelona. They would go on to crush every opponent, winning all 8 games and the Gold on August 8, 1992. On July 23, 1993, Jordan’s father, James Jordan, was shot dead in Lumberton. The elder Jordan was returning from a funeral when he pulled over to take a nap and was shot in his car. His body wasn’t found until August 3. James was Michael’s confidant, and MJ had become emotionally drained. On October 6 of that year, a day after training camp began, he shocked the world by retiring, saying he had lost the sense of motivation. He was just 30 years-old. Jordan would come back within a few months, but not in the uniform you would expect. On February 7, 1994, Michael Jordan began his career as a baseball player, signing with the Chicago White Sox, a dream his father inspired. He began playing for the White Sox affiliate in AA in the Southern League. He appeared in 127 games hitting .202/.289/.266 with 88 hits, 46 runs and 51 RBIs. But he’d never make the majors. 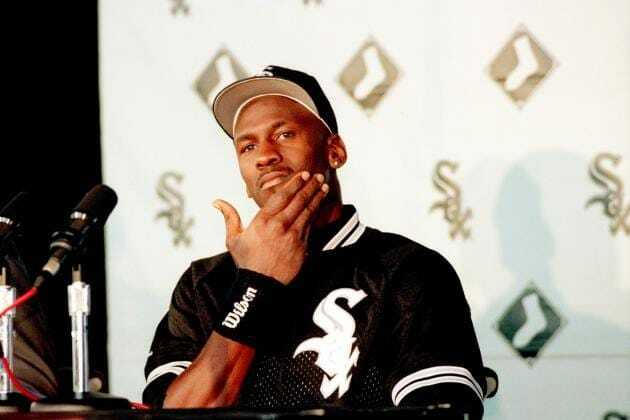 After wrapping up his first season in the minor leagues with the White Sox affiliate, Michael Jordan returned to Chicago on November 1, 1994 to watch his no. 23 jersey be retired. 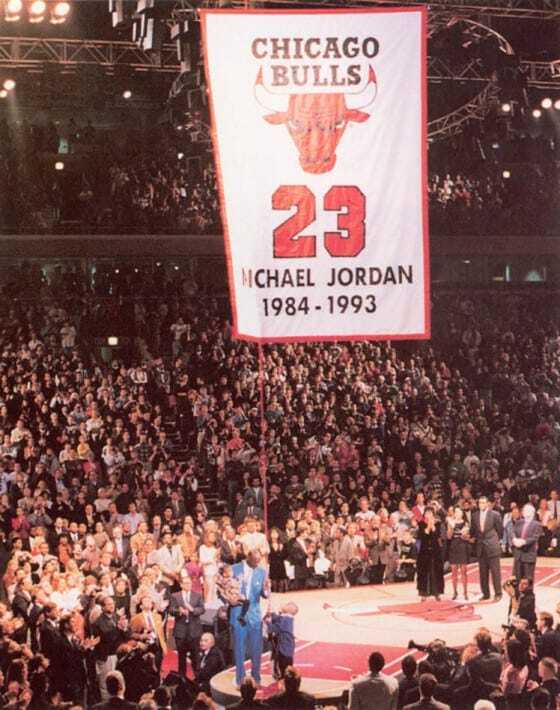 That same day the Bulls lifted a banner commemorating their third title from 1993. 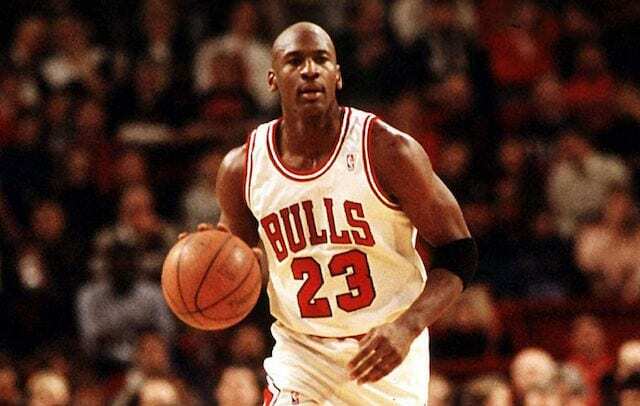 At that point, Jordan had won three titles with the Bulls and was a three-time Finals MVP. Little did they all know that within less than a year he’ll be back, but wearing a new number. “I’m back.” That’s all Michael Jordan said and all he had to say when he came out of retirement on March 19, 1995. Jordan came back wearing the Bulls no. 45 and played in only 17 regular season games, winning 13 of them. The Bulls made the playoffs but lost in the semifinals to the Orlando Magic in six games. But that didn’t matter, Jordan was back and the Bulls we preparing to dominate the NBA once again. As Jordan was making his comeback in the NBA he was also working on a big screen project. And boy was it a classic. On November 10, 1996, Space Jam was released. For anyone who doesn’t know what Space Jam is, go watch it immediately. 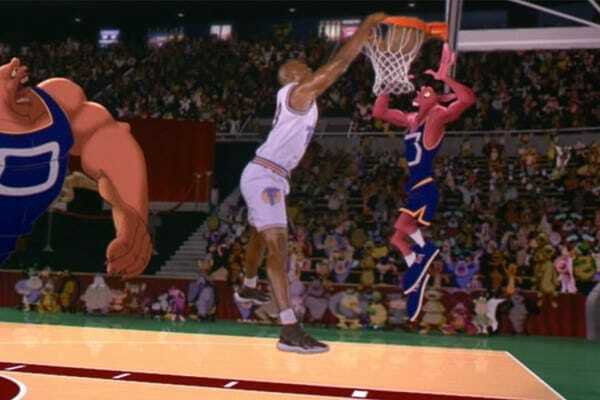 In the movie Jordan gets sucked into the animated world of the Looney Tunes, and has to help Buggs Bunny and the gang win a basketball game against the aliens that could determine their fate. Larry Bird, Charles Barkley, Billy Murray and Patrick Ewing also make appearances in the film. Michael Jordan and Nike had already teamed up at this point. But in 1997, the jumping Air Jordan brand really took off. The subsidiary began signing players such as Michael Finley, Eddie Jones, Vin Baker and Ray Allen. 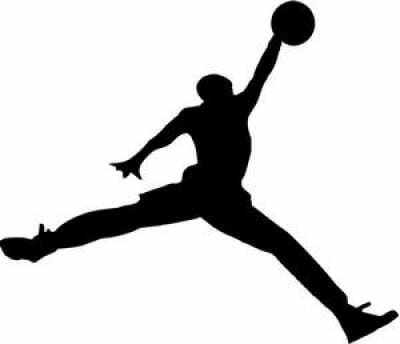 Air Jordan quickly became one of the top brands and the logo is just as recognizable as the Nike swoosh, if not more. At the moment, Air Jordan sponsors 21 active players in the NBA, including Carmelo Anthony, Chris Paul, Jimmy Butler, Russell Westbrook and Kawhi Leonard. Imagine this, it’s Game 6 of the NBA Finals the Bulls against the Utah Jazz. It’s come down to the last second, who do you think will get the ball? 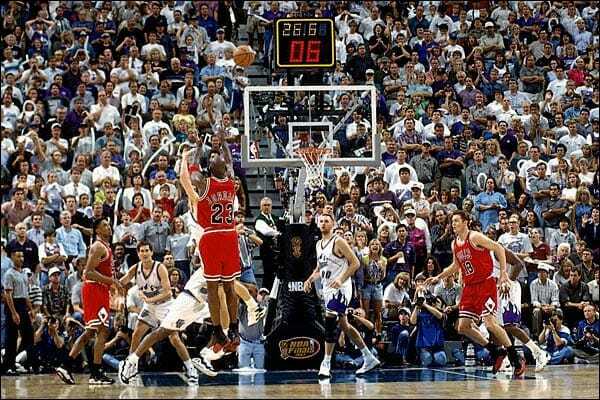 It’s obvious in this case, for everyone in the arena and those watching on TV that MJ is going to take the last shot. Chicago was down three points with a minute left when Jordan scored on a drive. He was then able to steal the ball from legendary Karl Malone, and with 5.2 seconds left, he drained the game-winner. Ring No, 6 please! Though a Utah Judge recently ruled that Jordan pushed off on Utah’s Byron Russell. Unfortunately for the Jazz, it can’t actually change history. 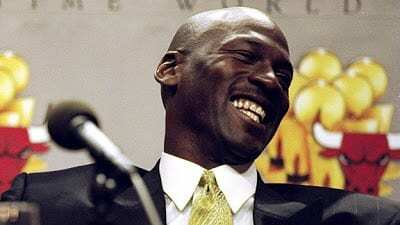 On January 13, 1999 came Jordan’s second retirement. The greatest to play the game announced he is retiring, telling a crowd at the United Center that he doesn’t have the mental challenges he had in the past to proceed as a player. During his second stint with the Bulls, Jordan averaged 29.4 PPG, 6.1 rebounds and 4.1 assists. He won three more championships and three more Finals MVP titles. One of those titles came on Father’s Day, 1996. 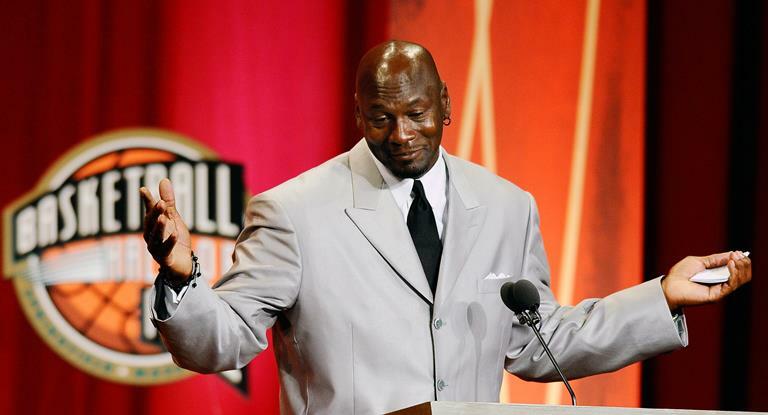 With a new century just around the corner, and in the midst of retirement number two, Michael Jordan was named the Athlete of the Century by ESPN. 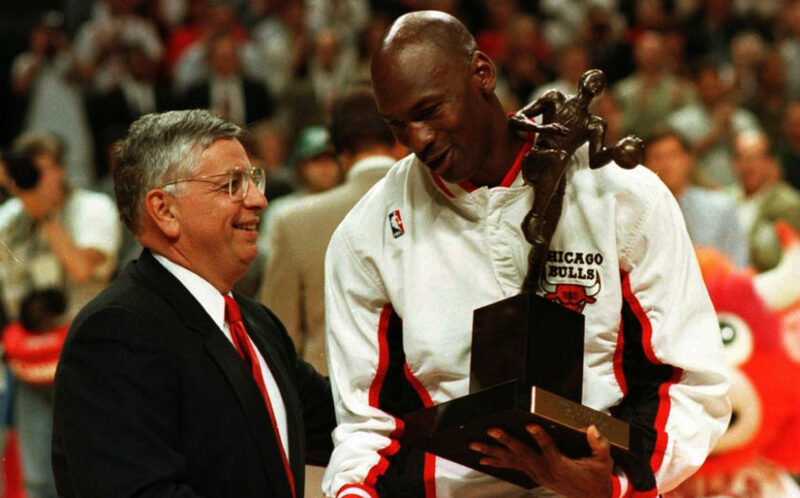 The network surveyed members of the media, other athletes and associations to rank the top athletes of the 20th century, and Jordan was at the top of the list, beating out legends such as Babe Ruth and Muhammad Ali, who came in second and third respectively. Jim Brown and Wayne Gretzky rounded out the top five. During retirement number two, Jordan stuck to the game of basketball. In January 2000 he took up an executive role with the Washington Wizards as well as part ownership. At the time, the Wizards hadn’t won a playoff game in 12 years, and Jordan was tasked with turning the team into a winning squad. With the deal, he became only the third black minority owner in the league after Magic Johnson and Edward and Bettiann Gardner. As it turns out, Jordan couldn’t stay away too long, even with a management position he had to put on a uniform. On September 25, 2001, Jordan returned as a player again, but this time it was for a two-year contract with his new team, the Wizards. 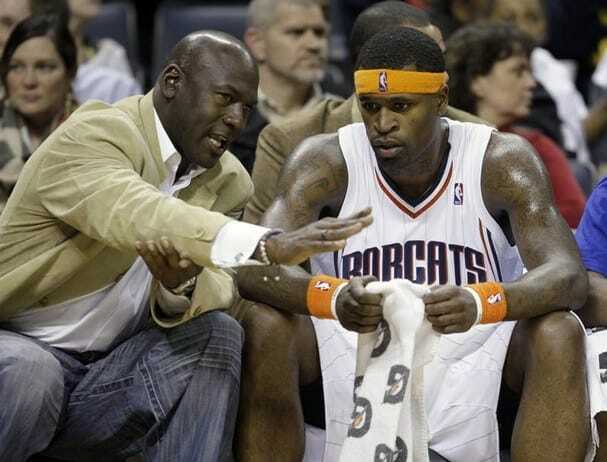 Jordan brought with him his former coach, Doug Collins, to help try and revive the team. Their addition helped draw fans to the stadium, but the team failed to make the playoffs both seasons. The team itself may not have been remarkable, but Jordan made sure his extra time on the court counted for something. 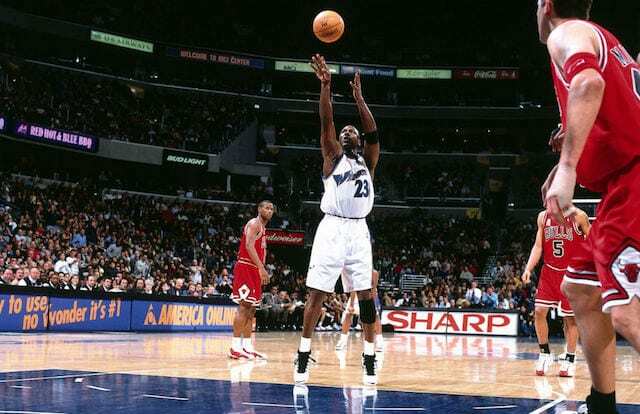 On January 4, 2002, Jordan became only the fourth player to score 30,000 points, and he did so with a free throw against his former team, the Chicago Bulls. It took him 960 games to reach 30,000, and it would take another ten years for someone to join the club. That someone was Kobe Bryant, and he was the youngest player to score 30k. 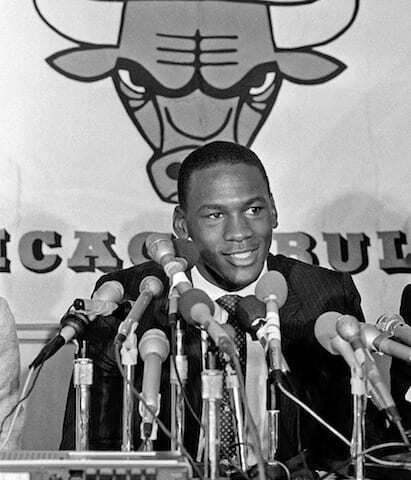 Just a few weeks after facing the Bulls in DC and scoring his 30,000th point, Jordan returned to Chicago as a member of the Washington Wizards for the first time. While some may have seen him as a traitor for coming back to any other team, the United Center fans gave him a three-minute standing ovation. 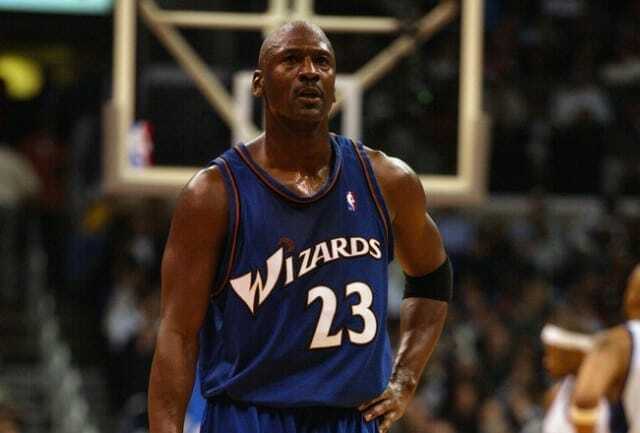 MJ scored 16 points and pulled down 12 rebounds that game but also turned the ball over nine times in the Wizards win. Jordan still wasn’t done entertaining the basketball world and setting records. He had already become the oldest scoring champion in history, and on February 21, 2002, he became the first 40-year-old player to score 40 points. Jordan racked up 43 points in 43 minutes in a game against the Nets in Washington. He added ten rebounds and three assists in the 89-86 win over New Jersey. After the game MJ said he doesn’t feel 40 and that some nights he can still compete with the best. In 2003 the Miami Heat were still a relatively young team. On April 11, 2003, before Jordan’s final game in Miami, the team decided to retire his number and jersey, even though he was never a member of the Heat. The jersey hanging in the rafters is half red and half blue, one side for the Bulls the other for the Wizards. Pat Riley, then head coach, announced that no Heat player will ever wear 23 again. 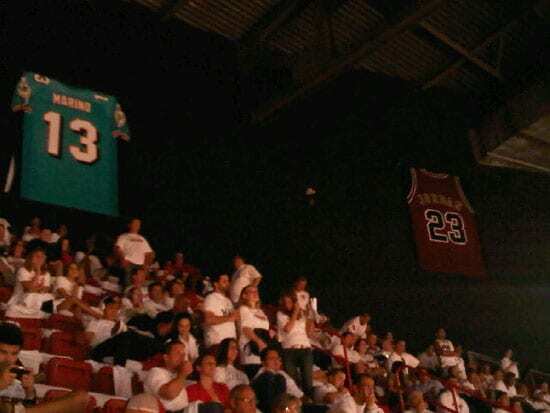 It was the first jersey the team had ever retired. Quite the honor. 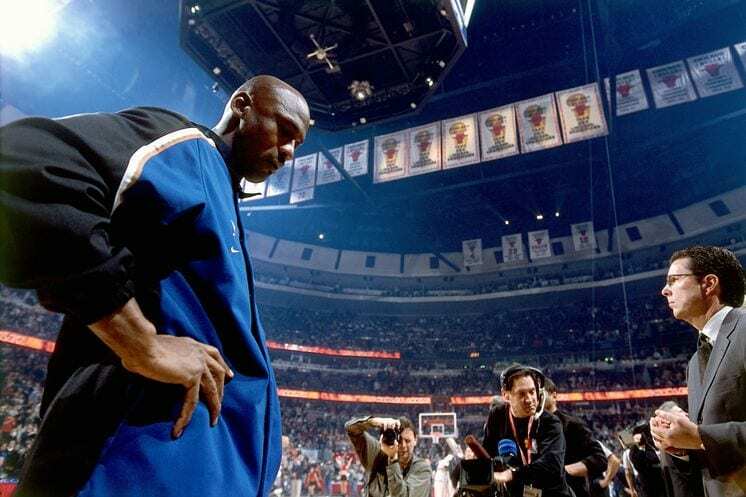 At the end of the regular season in 2003, Michael Jordan retired for the third and final time and the age of 40. MJ averaged 30.1 PPG, 6.2 rebounds, 5.3 assists and 2.3 steals during his 15 seasons in the Association. He was Rookie of the Year, six-time NBA Champ, 14-time All-Star, 11-time All NBA player, nine-time All Defensive, six-time Finals MVP, five-time MVP, Defensive Player of the Year in 1987-88 and three-time All Star MVP. Three years after his final retirement, Michael Jordan made his way back to the NBA as a minority owner of the then-Charlotte Bobcats. Bulls fans may have wanted him to return to Chicago in some capacity, but he ended up going back home. The deal, signed on June 15, 2006, made him second to Robert Johnson, the founder of BET (Black Entertainment Network). He also became the managing member of basketball operations for the team. On September 11, 2009, the Greatest of All Time was finally inducted into the Naismith Hall of Fame alongside Jerry Sloan, John Stockton and David Robinson. His speech was one for the ages, but wasn’t what you’d expect. Jordan didn’t thank those who helped him along the way, instead he made jabs at his rivals. But it also brought about the Crying Jordan meme, which has captivated the world and may very well be the best meme. 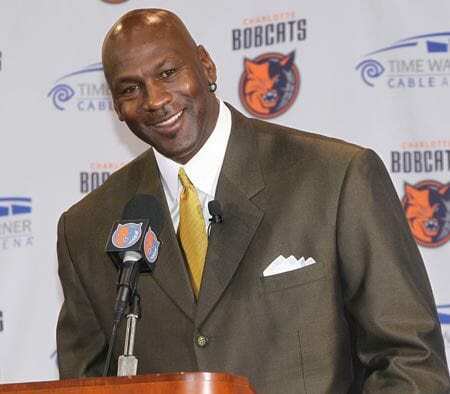 Just four years after he became minority owner of the Bobcats, Jordan became the majority owner of the team after the NBA Board of Governors approved his $275 million purchase. 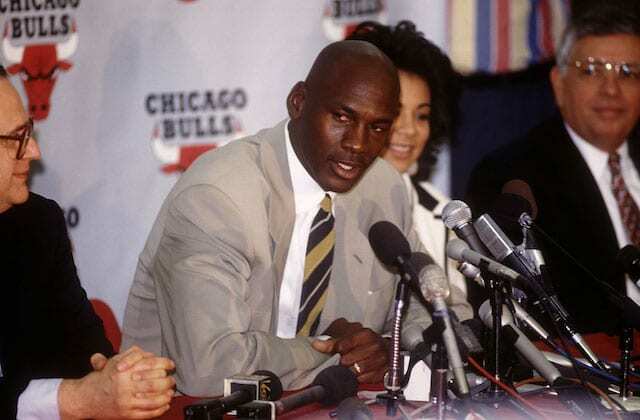 At the time, Jordan said that becoming the majority owner of the team is the culmination of his post-playing career goal. Since the team changed its name to the Charlotte Hornets and the team has fluctuated over the years, still failing to finish a season above .600.